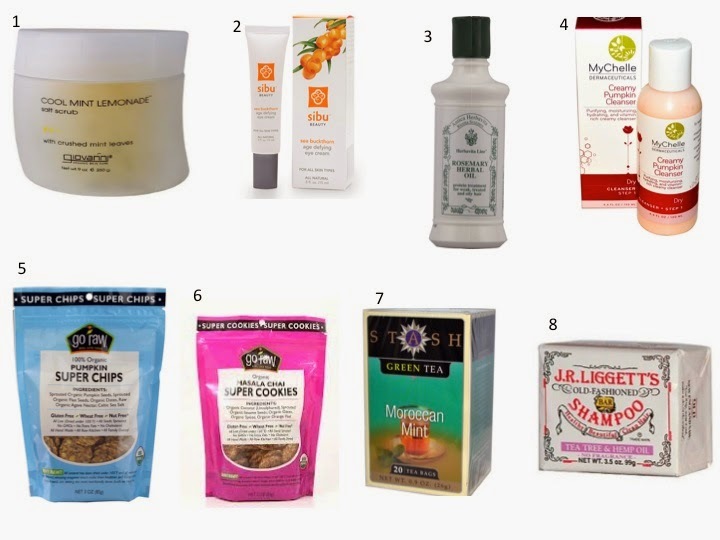 I thought i'll share some of the products that I've bought on iHerb that didn't work for me. I'm in no way slamming these products, just wanna let you know why it didn't work on me and why I won't be repurchasing them. For your consideration in case you've your eyes on these products that you can purchase form iHerb. 1. Giovanni Cool Mint Lemonade Scrub - I gushed about this body scrub initially coz it smelled soOOooo good...lemoney and minty, a combination which I adore. The minty effect is powerful, I must say. Your skin will be tingling for a long time during and after use. However, it left an uncomfortably oily film on my skin after washing off. So I thought i'll just wash the film off with an extra coat of body wash, but the film seems to cling on for dear life. Despite the heavenly scent, I think it is far too much trouble and discomfort to use. 2. Sibu Beauty Age Defying Eye Cream - This eye cream contains sea buckthorn which is a good anti-aging ingredient however, sea buckthorn has a less than pleasant smell. I know coz I've tried sea buckthorn supplements and they smelled really bad, at least for the brand that I've tried. This cream smells too, though not as badly as the supplement. It doesn't seem to sink in readily into my skin and when it does dry it leaves a matte layer which I can't appreciate since I am looking for a hydrating/moisturizing eye cream. Who would have thought that an age-defying cream wouldn't be moisturising. 3. Herbatint Rosemary Herbal Oil - I've used this hair oil several times, usually heating it up a little before I slather it all over my hair and scalp for a deep treatment. It smells great! And the surprising thing about this oil is that after washing off, it doesn't leave an oily feeling on my hair! I supposed lots of people will appreciate this factor, right? Yeah, I appreciate that but it doesn't seem to do much for my hair. A deep conditioning mask will do a better job. I will continue to use it till I run out but I don't think I will repurchase it. 4. MyChelle Dermaceuticals, Creamy Pumpkin Cleanser - I wouldn't say that this is a bad cleanser coz I think it works well as a cream cleasner. However, it just did not fit into my cleansing regime. I usually remove my makeup with makeup remover or cleansing oil and then I double cleanse with a foaming cleanser. I can't use this cleanser as my first step to removing makeup, coz it doesn't do that well and I can't use it to double cleanse since it does leave a creamy film on my skin. So I usually use this only on rare days when I do not have makeup on. 5. Go Raw, Organic Super Cookies in Chai Masala - Hmmm... I was excited about this brand of chips, it looks more like chips than cookies to me. There are lots of good reviews for this product and I was eager to try. I don't like the taste, the ginger is too strong IMO and the chips were dry and gritty... tasted like doggie food, if I have to give it an apt description. 6. Go Raw, Organic Super Chips, Pumpkin - This tasted better than the Chai Masala cookies, but sadly, I still associate it with doggie food... :( I realised it's made from pumpkin seeds instead of the fleshy sweet orange fruit that I thought I was getting. 7. Stash Tea Company, Moroccan Mint Tea - Big mistake... somehow this tea tasted big on liquorice... and I for one dislike liquorice. I don't see liquorice as an ingredient, so something in there tastes like liquorice. 8. J.R. Liggett's Old Fashioned Bar Shampoo, Tea Tree and Hemp Oil - I really wanted to like this product after reading reviews on how it cleaned and cleared up oily scalp on some people. I did read that it may not work with either hard or soft water, I can't remember which but I am sure Singapore's water doesn't go well with this bar shampoo coz having been warned by some reviewers, the exact thing happened to my hair as I was trying to wash it out. It lathered well and I was happy till it was time to rinse. My hair seemed to have turned into a waxy mess during the rising stage, the water seemed to have turned the lather hard or something and to rescue the situation, I had to use my regular shampoo to wash this shampoo off. So it really depends on the type of water that runs in your tape when trying this product out.